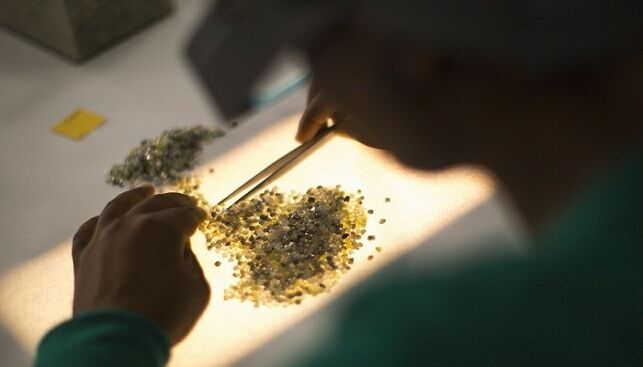 Provisional data released by Anglo American shows that the value of rough diamonds sold by De Beers in the 1st sales cycle (Global Sightholder Sales and Auction Sales) of 2019 totaled $505 million. De Beers’ 10th cycle of 2018 (the last cycle of last year) brought the giant diamond miner $544 million. De Beers’ 1st cycle of 2018 raked in $672 million. Bruce Cleaver, CEO of De Beers Group, said: “Rough diamond sales during the first sales cycle of 2019 were lower than those for the equivalent period last year, reflecting higher than normal sales in the previous cycle (cycle 10 2018) and the slow movement of lower value rough diamonds through the pipeline”.